When people need to take steps to provide themselves with a clear and better television reception so that they can obtain the full enjoyment of their entertainment in their homes, many are unsure of where to turn for help. Unfortunately, too many people mistakenly believe that antennas are becoming obsolete and therefore difficult to find. Fortunately, there are San Diego TV reception antenna providers who still make it their professional mission to provide only the best and latest technology in terms of the products they offer their customers. 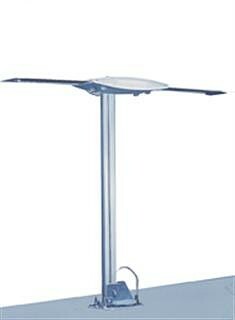 Custom Antenna Systems is one such company. Below you will find a brief overview of the TV reception offerings and service we provide to our loyal customers. Custom Antenna Systems is a team of professionals that can provide you with a plethora of choices that concern products that are made to improve your television reception to the point where it’s crystal clear. These products are offered in such a way that you will have choices that will match the setup of your home and we will help you find a product that will integrate properly with your current television viewing system. 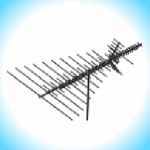 These products will work with almost any existing home and configuration, and our San Diego TV reception antenna professionals will make sure to find the best fit for your needs and desires. Of course, before a product can be provided that will work with you and your existing entertainment setup, you will need to be sure to work with our professionals so that you can consider different recommendations that could improve your overall experience. For instance, there could be situations where you would be better served by moving your main television to another location in a room or in your home. It could be possible that a different television will be needed. However, we will work tirelessly to remain within your budget and to provide you with only the best value that can be obtained with what you are willing to invest. If you are considering taking that next step with your television viewing experience, you should make up your mind now to do that once and to avoid having to worry about that anytime soon again. 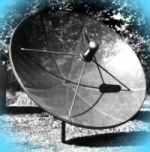 If this is an approach that you think will work best for your current line of thinking, all you need to do is to seek the help of our experienced and accomplished San Diego TV reception antenna providers to move towards the completion of what should be nothing but a pleasurable experience for you. Contact the team at Custom Antenna Systems today to get this process started, and you can be sure that your questions will be answered promptly and accurately.